Rocket League has now entered the PlayStation Cross-Play Beta program. Players can now matchmake with or against players on Nintendo Switch, Xbox One, and Steam in all Online match types including Casual and Competitive modes. Cross-play is enabled by default, however players can choose to opt out in the menu under gameplay options. An upcoming update will also allow cross-platform parties for matchmaking, while players can directly party with friends on other platforms via Private Matches right now. Cross-platform play has been available for years in one iteration or another, with PC players able to matchmake with each respective console – but never as a single homogeneous pool. 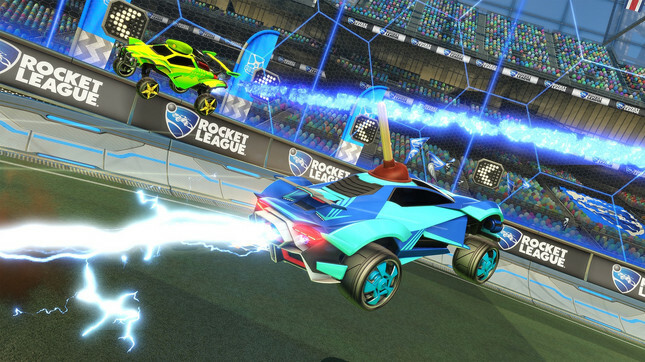 Rocket League's developer Psyonix has previously stated its game could become fully cross-play compatible "in a few hours," but that it was Sony that was holding up the process. It's great to finally see the gates being lowered between each respective platform.